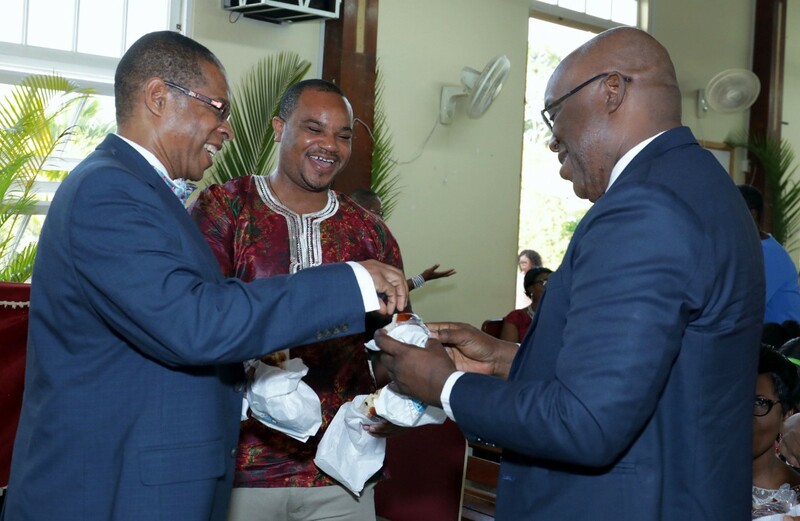 Pathologist Dr. Hughvon Des Vignes, Secretary of Infrastructure, Quarries and the Environment Kwesi Des Vignes and Chief Secretary Kelvin Charles are all smiles as they share a treat. 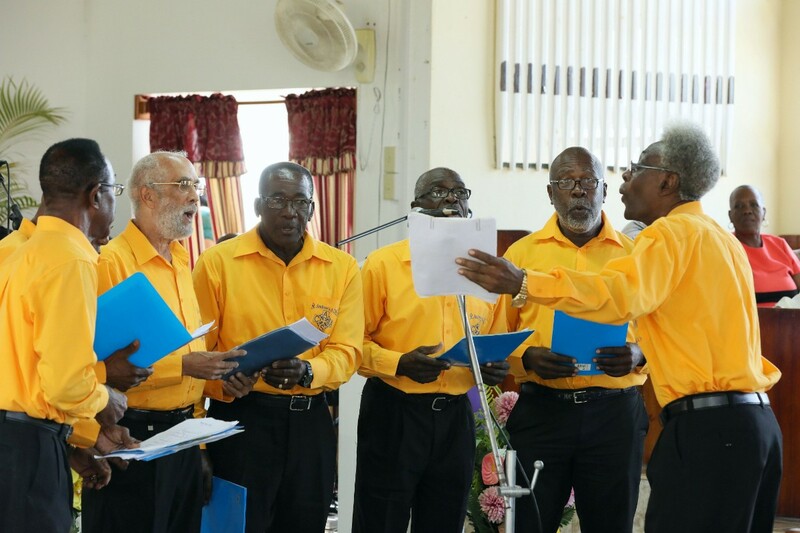 Members of the Moriah Moravian Church men’s choir perform during the celebration. These young brothers are among the congregation for the Love Feast. 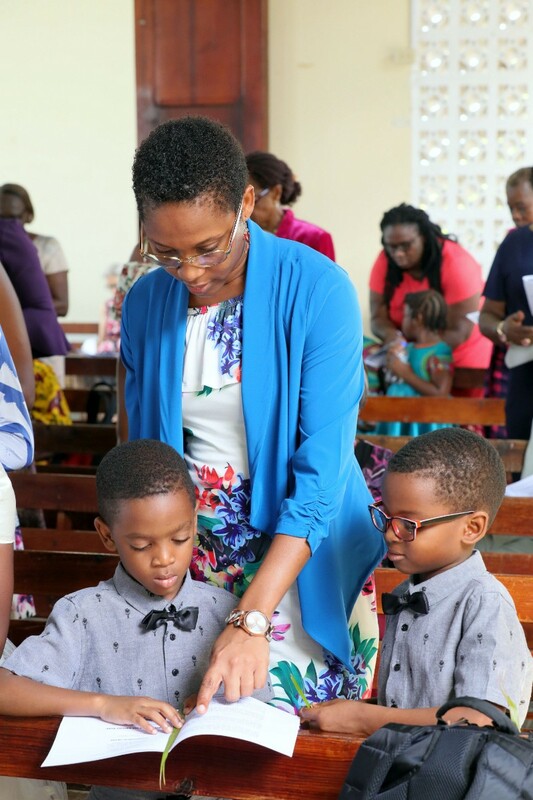 Moriah Moravian Church celebrated its Love Feast on Sunday (April 14, 2019) afternoon. It’s a traditional service that is usually held to commemorate special feast days, such as Christmas and Easter, and on special memorial days of the Moravian Church. It encourages fellowship through the sharing of a meal.